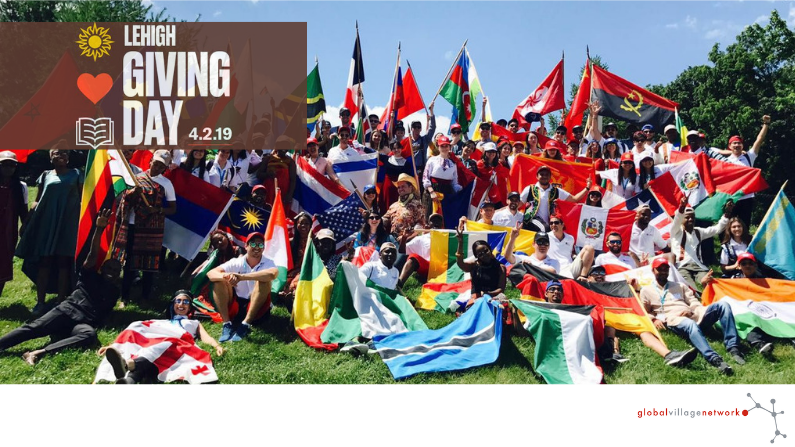 Lehigh’s Giving Day is an intensive, 24-hour-long effort to engage alumni and campus community in a celebration of support for the university on April 2, 2019. 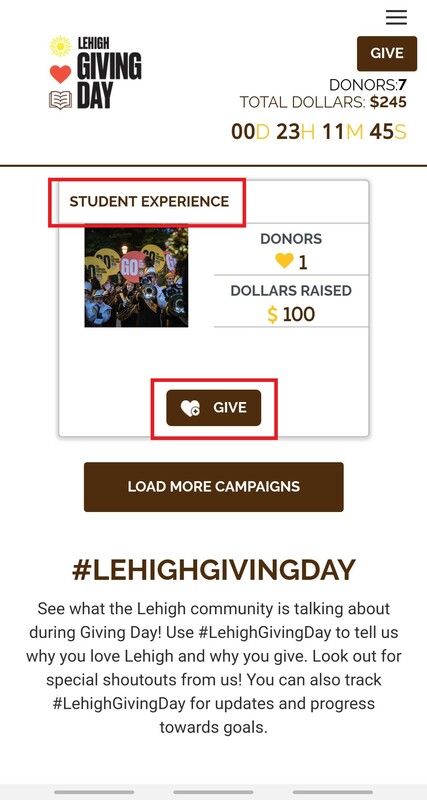 Learn more about Lehigh’s Giving Day from our last post HERE! Thanks to a matching gift from Kira Mendez ’83, your contribution will go even further. 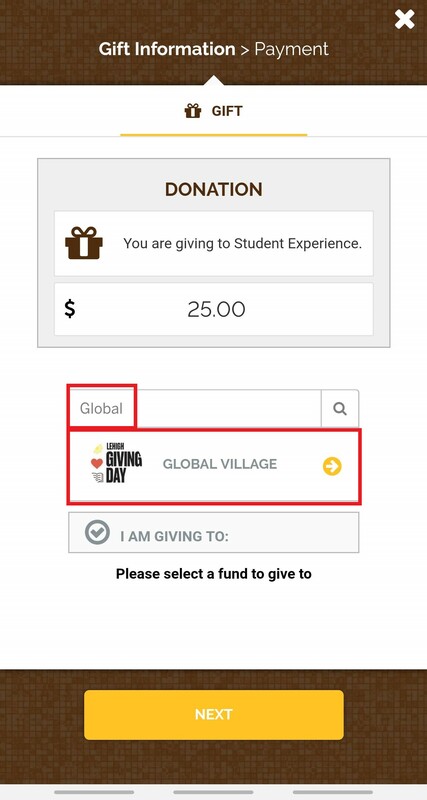 The first $2000 raised will be matched 1:1, resulting in $4000 for Global Village scholarships this summer. Every gift has the power to change the life of one of tomorrow’s leaders. 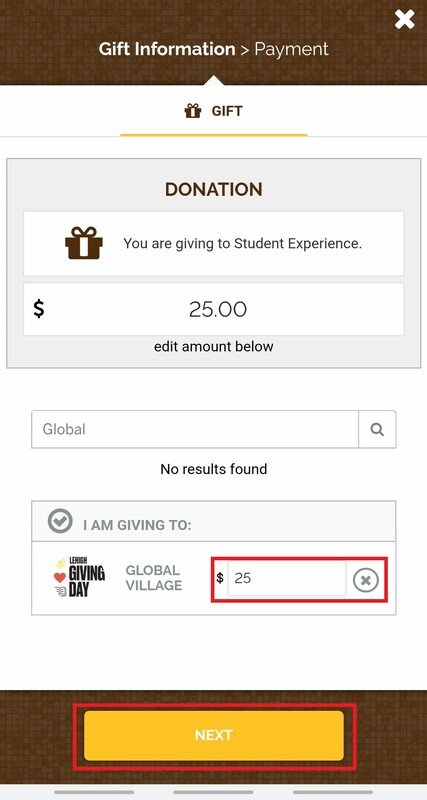 Select “Student Experience” and then click on the “Give” Button. Edit the amount that you want to give and then click the “Next” button to proceed with payment details.